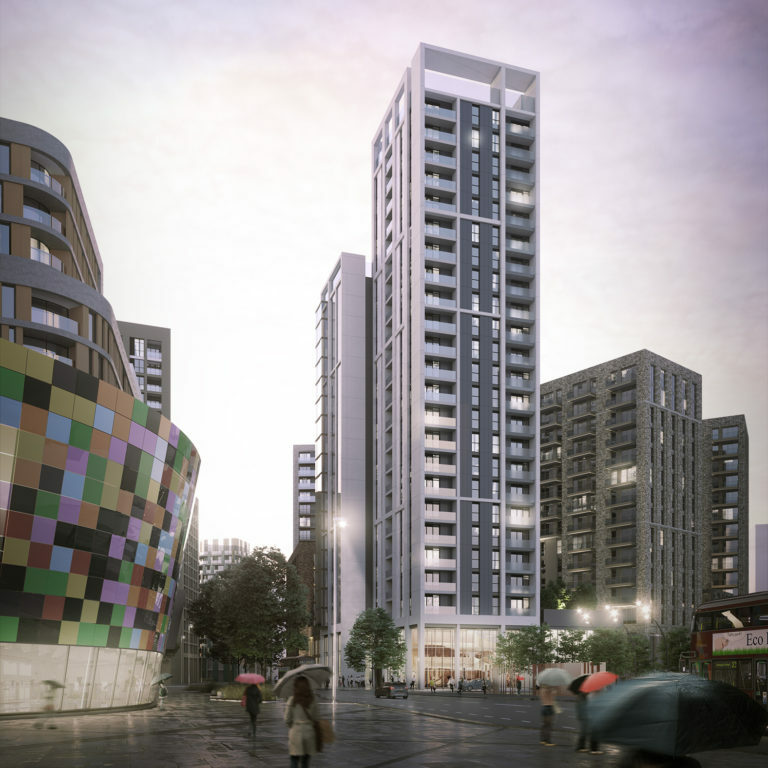 The redevelopment of Lewisham Retail Park will bring a new environmentally sustainable development to Lewisham at a time of rapid growth for the area. 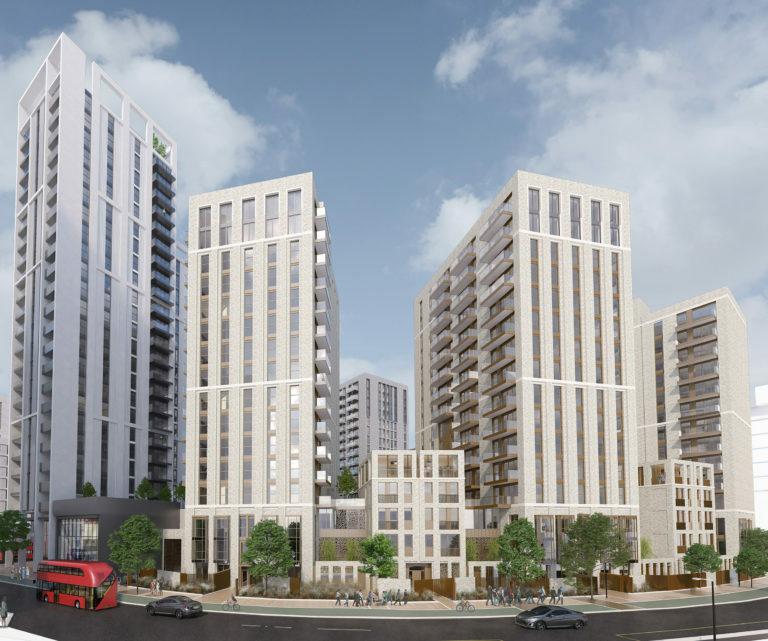 The 536 new homes will be accommodated in a collection of seven buildings clustered around a community garden, and will connect with and complement Assael’s Renaissance masterplan just across the road. 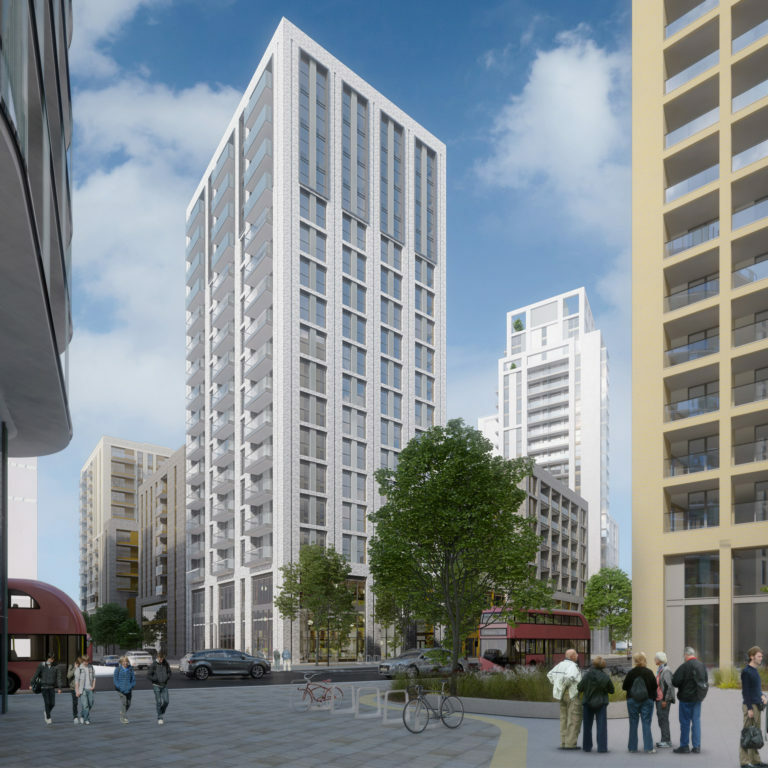 The contemporary buildings, clad in robust brickwork, will be crowned by a striking 24-storey tower. At its base, a double-height colonnade will frame the retail and commercial space beyond to create a dynamic street presence on this prominent corner of Loampit Vale. Alongside the apartments, the family townhouses and duplexes will benefit from generous gardens and roof terraces and offer both front door access from the street and rear access to the shared gardens at the heart of the scheme.